Lassi originated from Punjab and is now a favorite summer drink all over. It’s a perfect antidote to scorching summer sun. 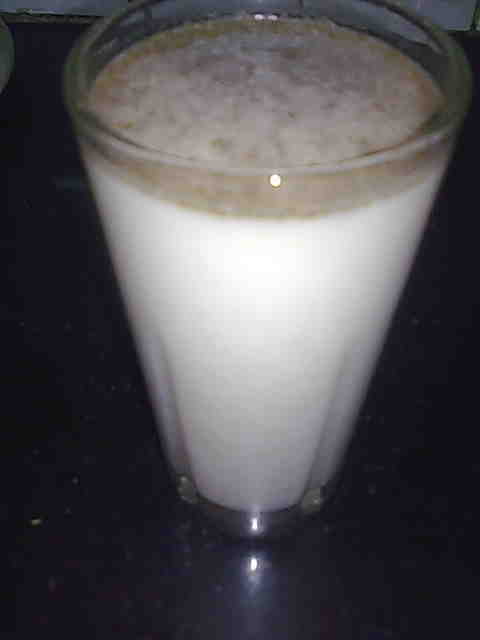 Salty lassi is in some ways similar to buttermilk but thicker than buttermilk. 1. 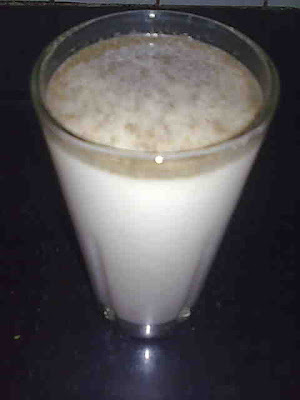 Blend yogurt, water and salt in a blender till frothy. 2. Add ground cumin and mint powder and mix. 3. Add crushed ice to serve. You can prepare the mint powder at home by picking mint leaves from the stems. Let them dry out in the sun covered with a flat metal sieve (chhalni). Then crush the dried mint leaves between your palms. Store this powder in an airtight container. You can also prepare cumin powder in advance by dry roasting the cumin seeds and coarsely grinding them. This can also be stored in an airtight container. This way you can prepare the lassi quickly anytime.